Whether you're starting with a blank canvas or looking to upgrade an area, decorating a house or apartment may seem like fun, can be totally overwhelming. Aside from stressing about new furniture and remodeling costs, you also want to make your home look and feel stylish, and what’s more, feel like “you”. Your home is an extension of yourself, therefore it should reflect your personality and be as unique as you are! Nothing will transform and personalize your space more than unique finds, but where do you find them? Enter Uncommon Goods. Founded in Brooklyn, this retailer endeavors on featuring special pieces and handcrafted gifts. It’s like a treasure trove of unique items and even carries and exclusive assortment of products that meet the highest standard of uncommon design, sustainability, and doing good, called The Uncommon Collection. No matter how big or how small, you can make your home a truly one-of-a-kind. Just look to these easy and simple tips to completely transform a boring room and fill the space with charm and character. -A fresh coat of paint is the quickest and easiest way to personalize your space. Pick out your favorite hue or go bold and try something new. Even just painting an accent wall will completely change up the look of your room. -Great design is in the small details. Picking out the right accessories and decorative accents to add a personal touch is essential to making your abode feel comfortable and appealing for you. 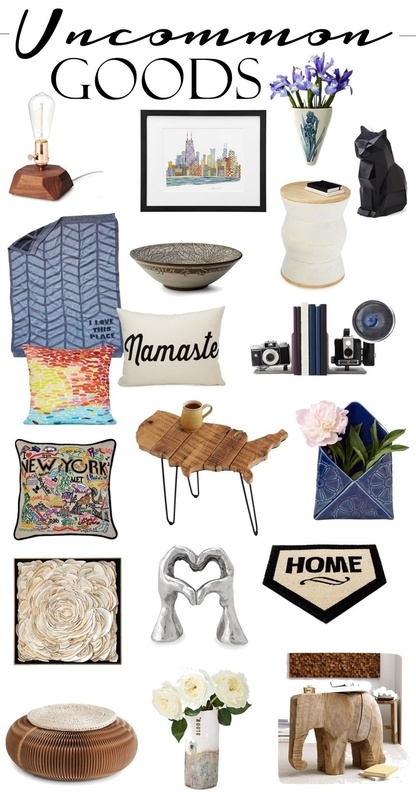 Give your space a unique look and check out these decorative accents for your home. -Lighting is everything. Get rid of the builder standard fixtures and upgrade your pendants and wall lighting. Create a great ambience with table and floor lamps. This will truly make the space feel like your own and give you immediate visual impact. -Just like fashion, print mixing is the perfect way to add some flair to a space. Switch up your pillows and blankets and have fun with scales and prints. Not sure where to start? Stick to the same color scheme. This will make your prints more cohesive and stylish. See a fun selection of decorative pillow and blankets here. -Your front yard is the first impression visitors see and during the summer months there’s no doubt you’ll be spending a lot of time in your backyard, so don’t forget to add some charm and beauty to your outdoor spaces, regardless of their size. Even the tiniest of spaces is full of potential. Visit Uncommon Goods to see great home and garden décor. 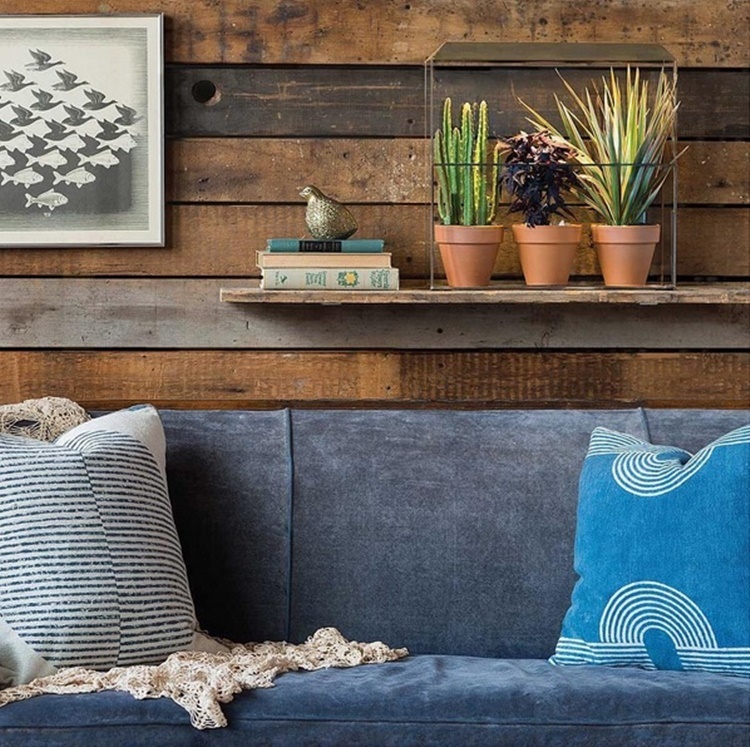 We’ve rounded up some of the coolest Uncommon Goods items we could find to point you in the right direction and get you started on creating a dwelling as original as you.